It's always a pleasure to help out some fellow Team MVP members with their tour fundraiser stamps. They're depending on a great stamp that will help them travel and tour to the biggest events out on the Professional Disc Golf Association (PDGA) National Tour. Jason Krueger hit me up to do just that. 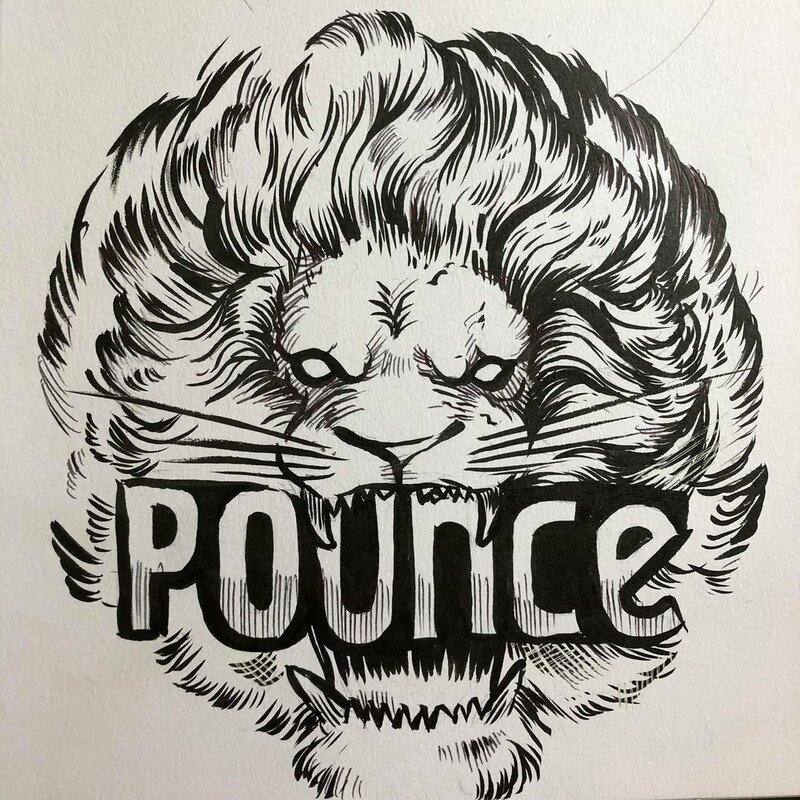 Jason has done a great job branding himself up to this point with his Pounce branding. 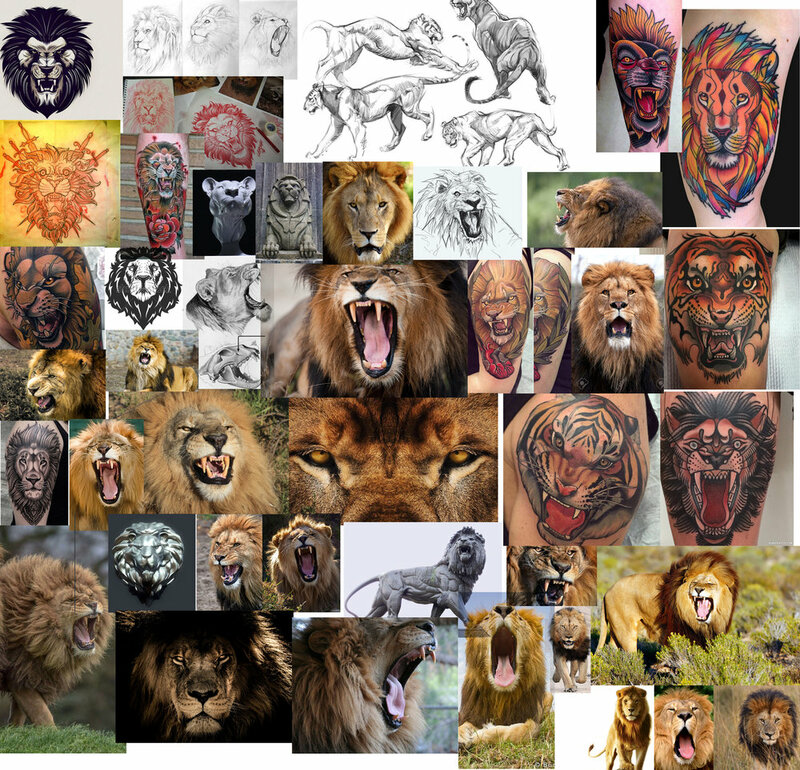 He wanted me to create a lion stamp with Pounce text treatment in the mouth. I started by hitting the sketchbook and seeing what came out. This stage was all about exploring detail limits, size relationships and where the client valued one thing more than another. Jason was great at knowing what he had in mind. It kept the guesswork minimal and allowed me to hit this stamp fast. Thumbnail was chosen and It's common for me to jump into Photoshop to start cleaning up line work. Something wasn't right. Leaving area for the center sprue was deleting detail in the nose that helps identify a lion. I went back to the drawing board and gathered inspiration/ reference to see where I could fix my existing image. I realized there needed to be a few things that needed to exit the stamp. The light rays behind the head was one of them. Redrawing happens. Don't force something that doesn't feel right. The end result ended up being a mixture of a thumbnail I thought was too detailed and wasn't going to work. With the combination of elements and deleting away a bit of the detail, we had a winner. I want to thank Jason Krueger for his patience and confidence that I could deliver what he was envisioning. have any questions? I'd be glad to answer them. Please leave a comment and share this post!